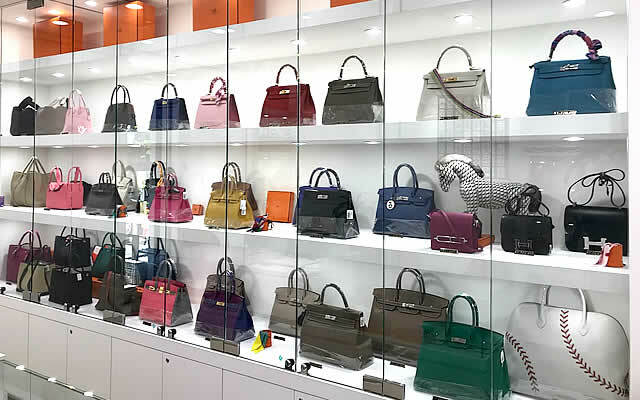 Browse through collections of curated new and pre-owned luxury designer items! 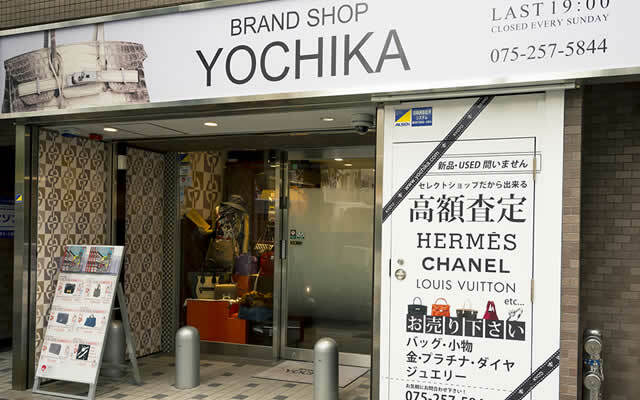 Please feel free to search for the products you are looking for on the Yochika online site. When you find an item you would like to order, please add it to your cart and complete the order. After confirmation of your order, we will send you an email detailing your total including shipping. 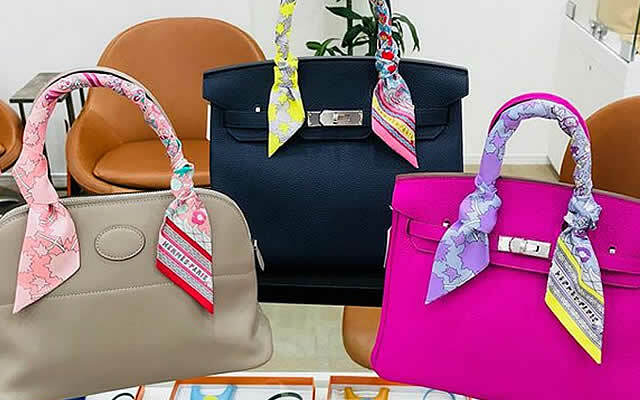 We accept payment via PayPal and bank transfers. 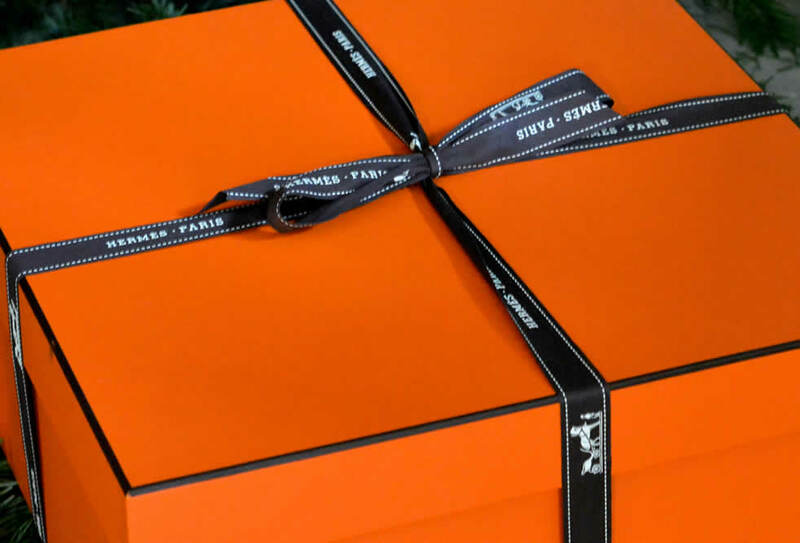 After receiving payment, your items will be sent out by Express Mail Service (EMS). Once your items have been shipped, we will send a tracking number by e-mail for your peace of mind. Let's Start selling on YOCHIKA! Please click on the item you would like to see from the product list. The product details page will open. 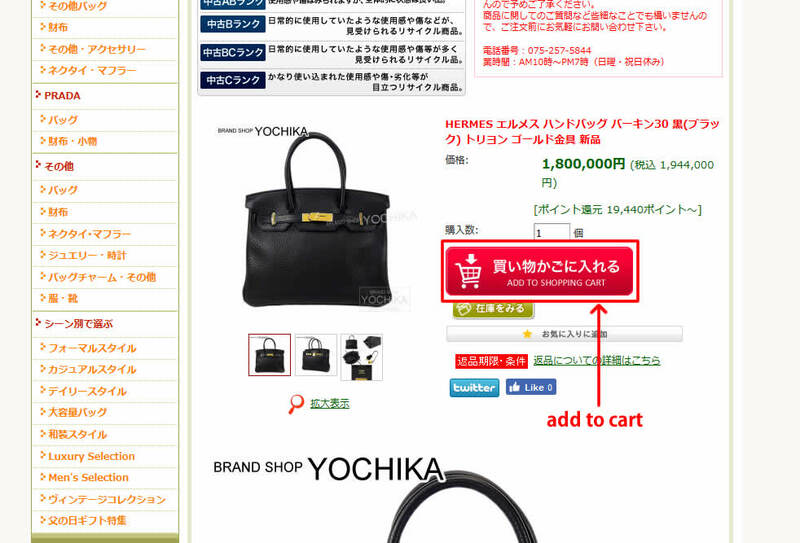 If you would like to purchase the item, scroll to the bottom of the page and click on the green button that says "add to cart" in Japanese. 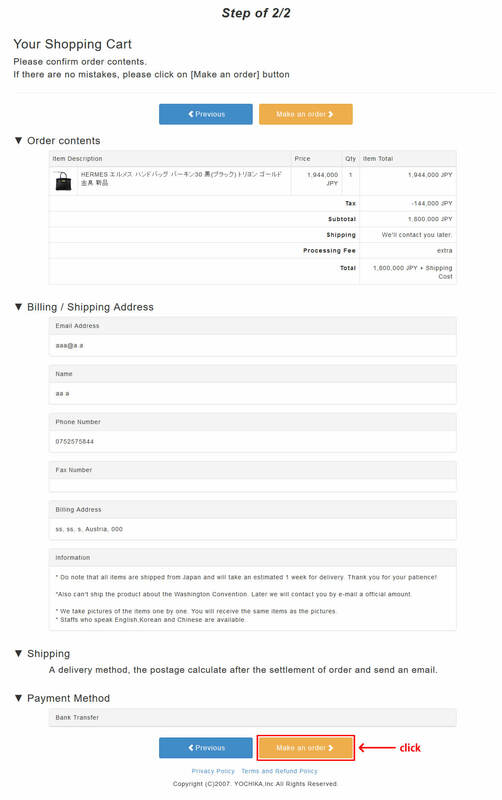 After adding the item to your cart, scroll to the bottom of the page. 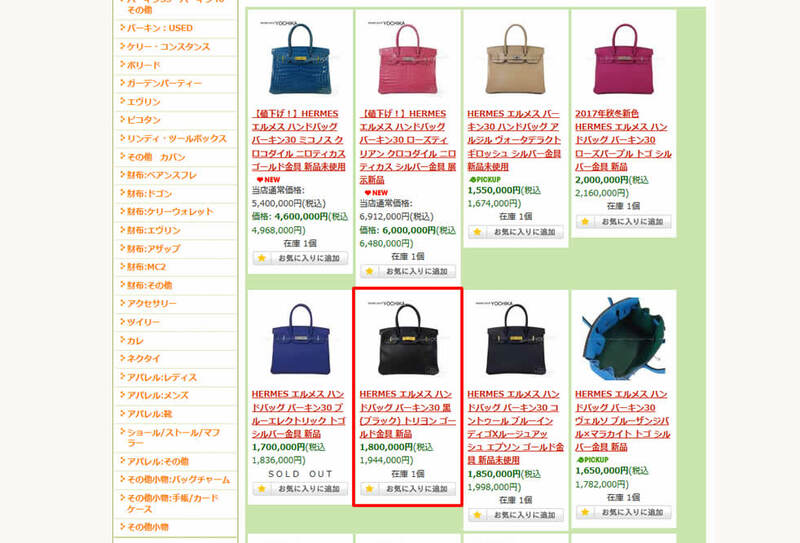 There will be a shopping cart page like the one shown on the right. 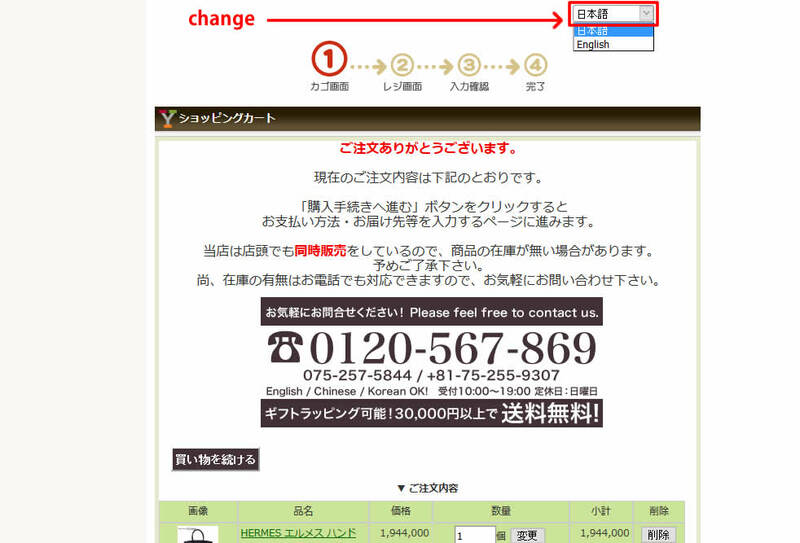 There will be a pull-down menu in the upper right corner of the screen labelled "日本語" (Japanese). Please change this to "English." 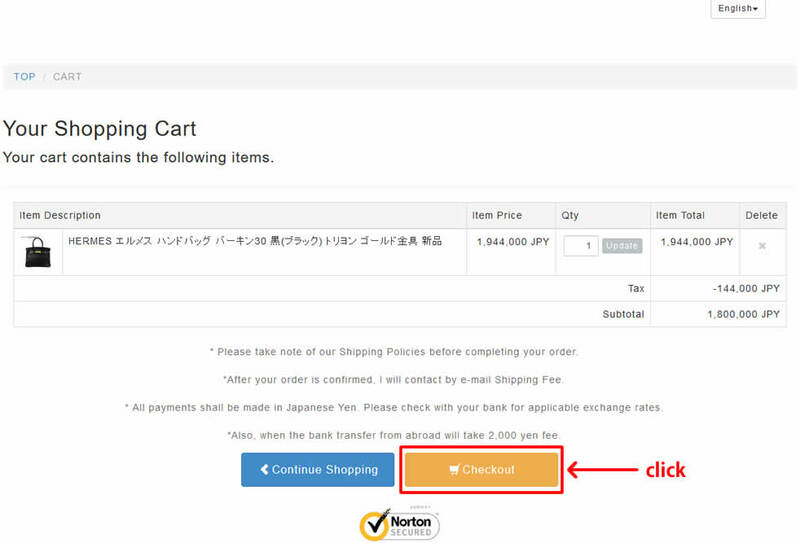 The shopping cart screen will automatically change to the English version. Please click "Checkout" to proceed to the next screen. You may select either PayPal or bank transfer as your payment method. You will be transferred to a confirmation page. Please make sure there are no errors in the information you entered. You will receive an automatic reply in your designated e-mail account. Please confirm that you received this message. 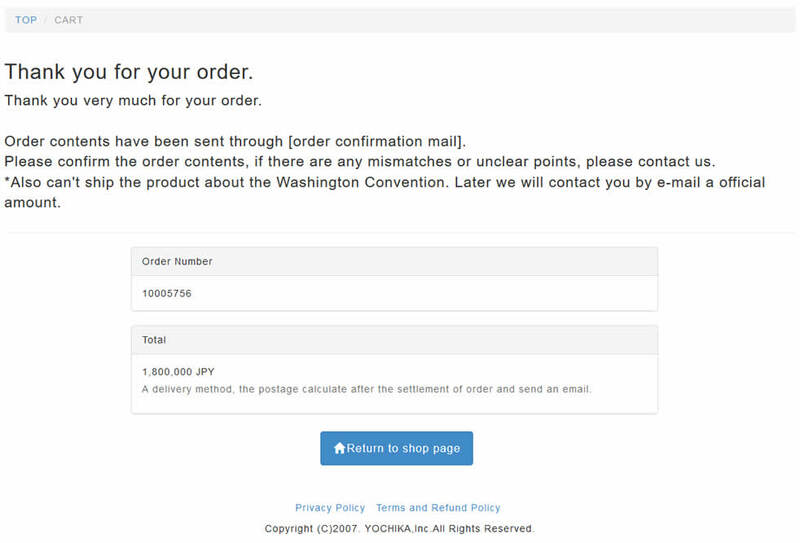 After receiving your order, our staff will calculate your total and contact you by e-mail. Your order will be shipped after we receive your paymet via PayPal or bank transfer. 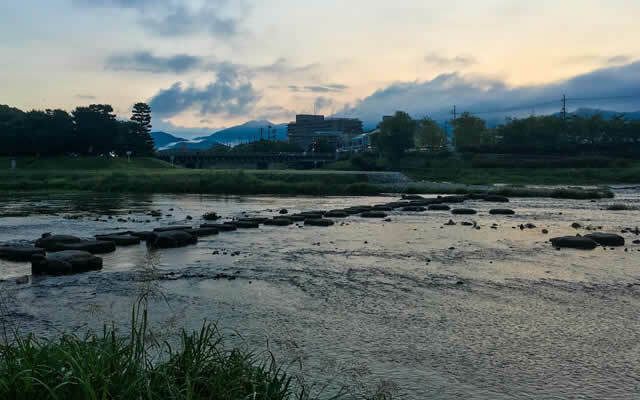 Located in Japan's historic city of Kyoto. 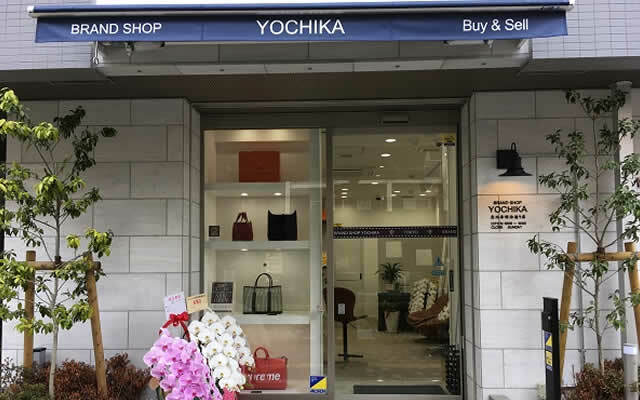 Located in Japan's historic city of Kyoto,Yochika personally handles and ships all items directly from our retail shop. 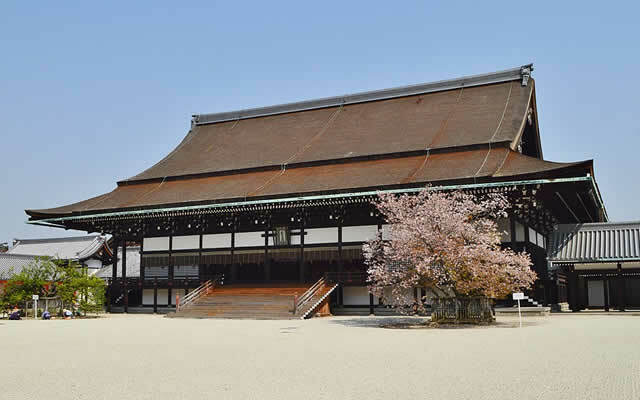 Many of the customers who visit our retail shop in Kyoto are overseas tourists have come to see the city's many historical sites. 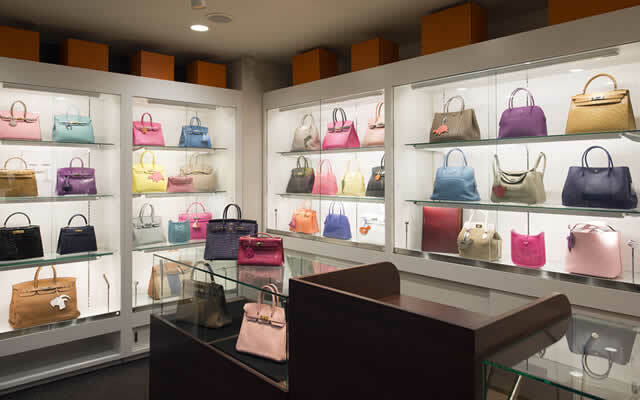 Upon entering the store, they find our wide selection of affordable high-end brands too irresistible to pass up. 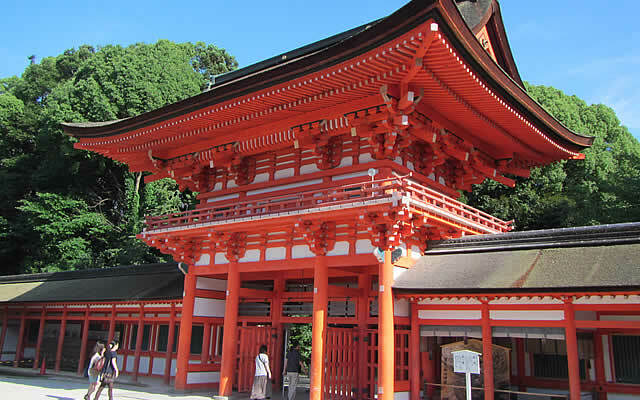 *We are closed on Sundays and Obon Holiday, New Year's Day. Copyright 2017 BRAND SHOP YOCHIKA. All Rights Reserved.